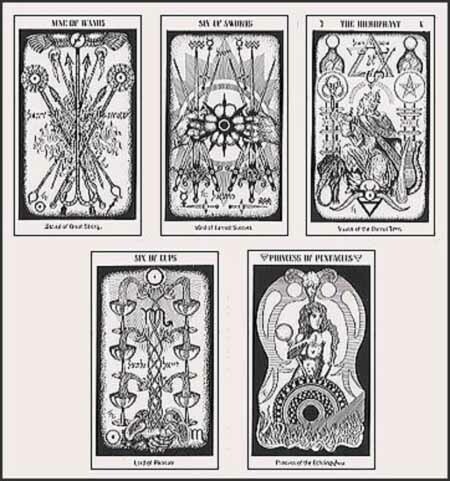 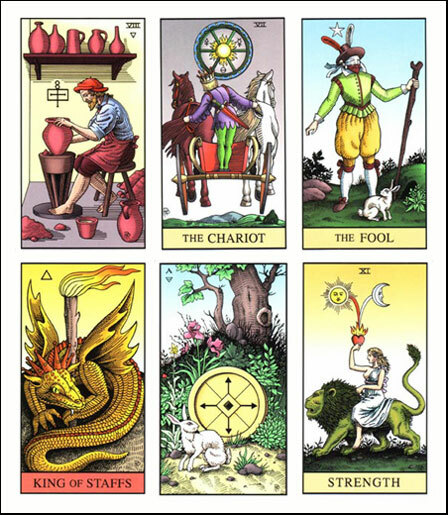 TAROT is what we call a reflector. 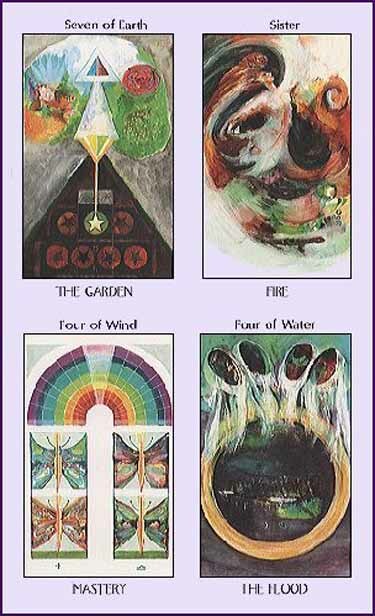 Reading any oracle is an observation of the maxim, "As above, so below." 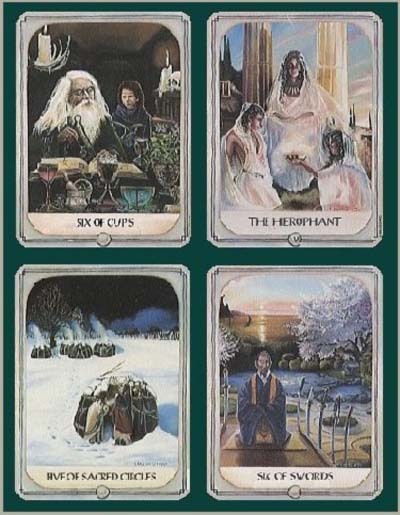 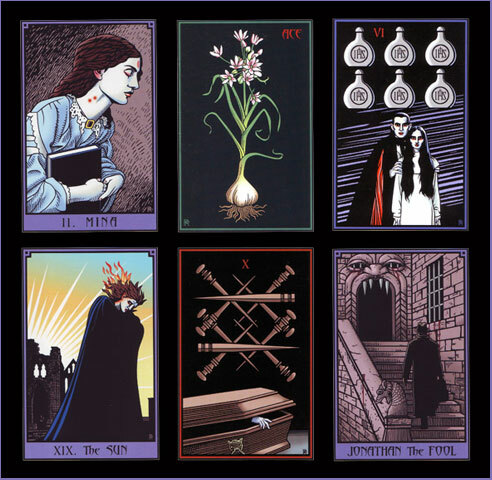 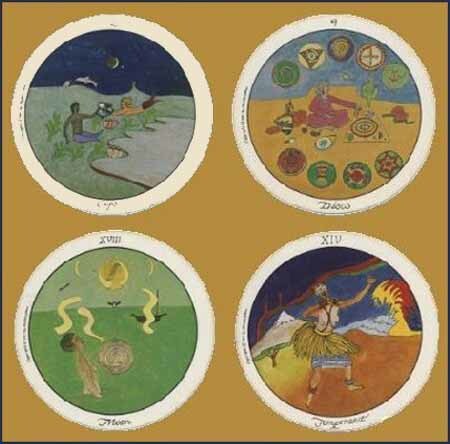 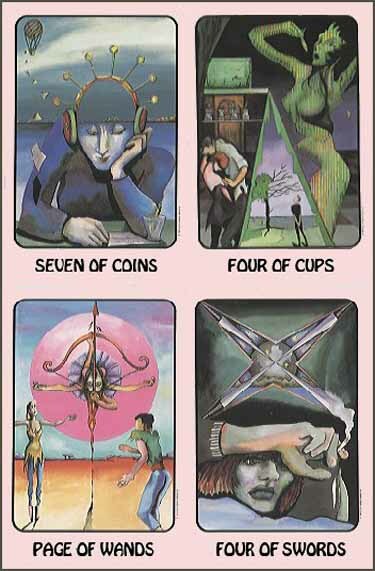 Different people are drawn to different reflectors: tarot, runes, tea leaves, the lines in the hand. 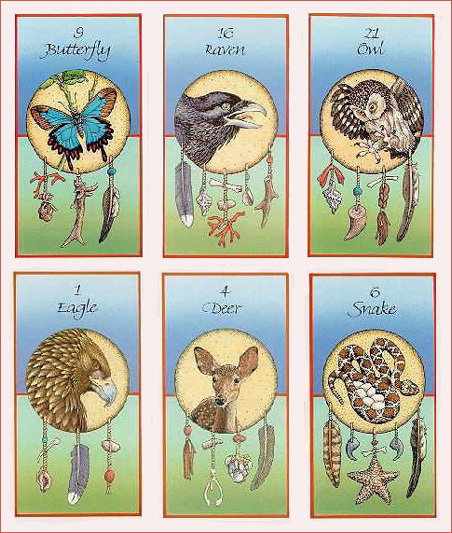 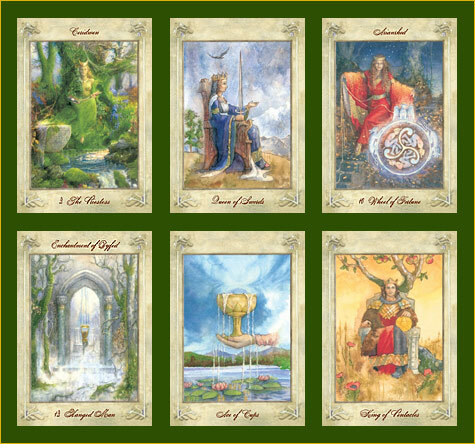 What is important in choosing your individual system of divination is that it speak to your creative and intuitive self. 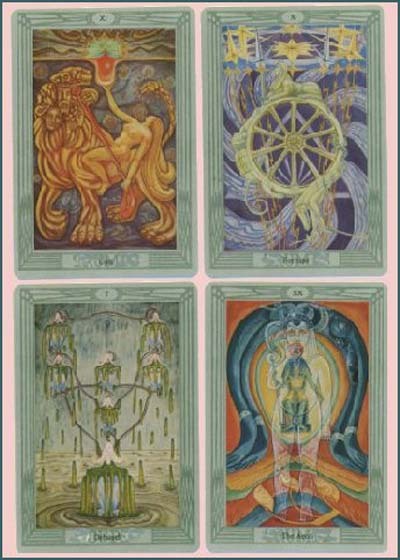 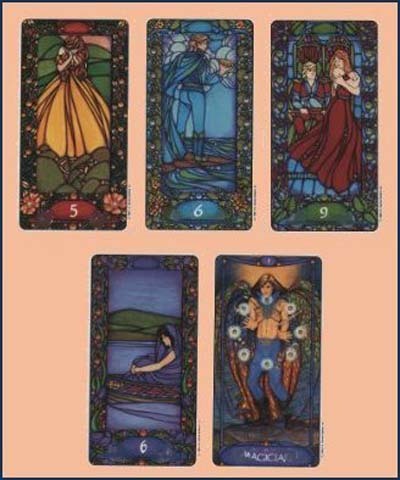 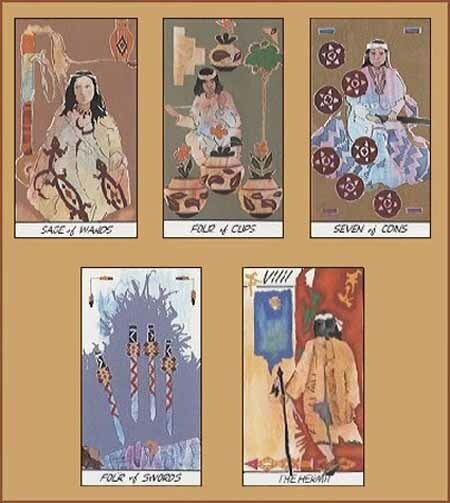 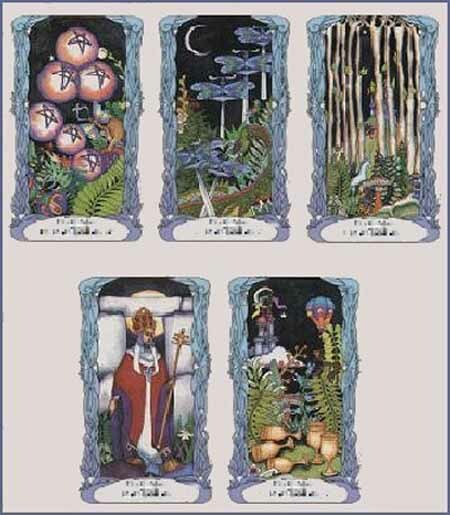 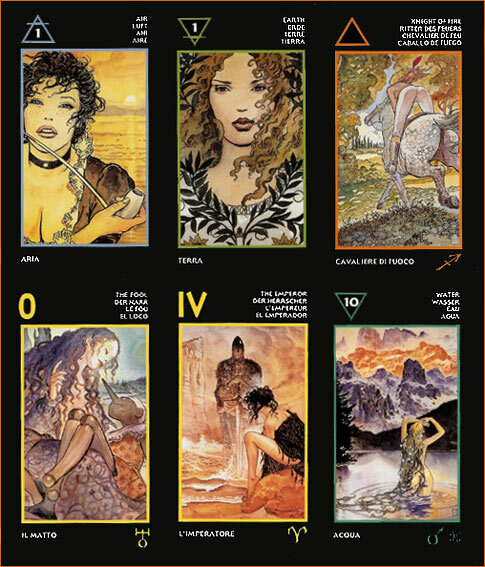 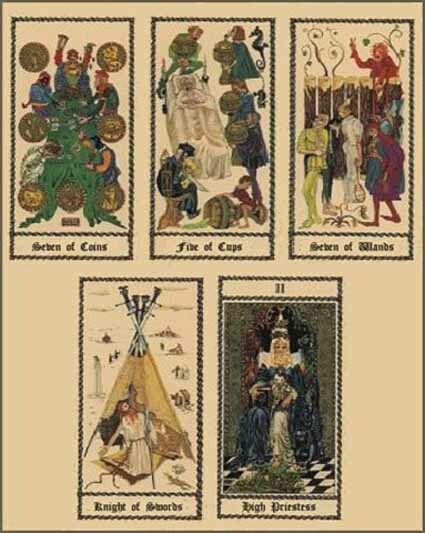 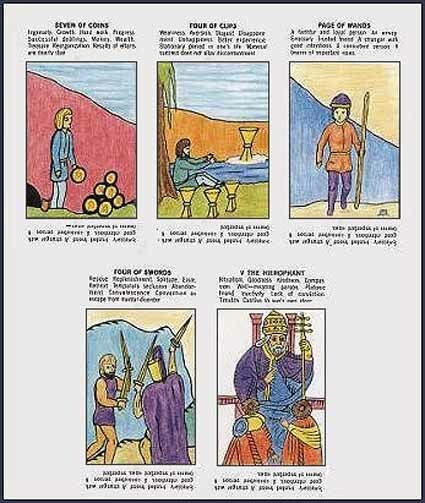 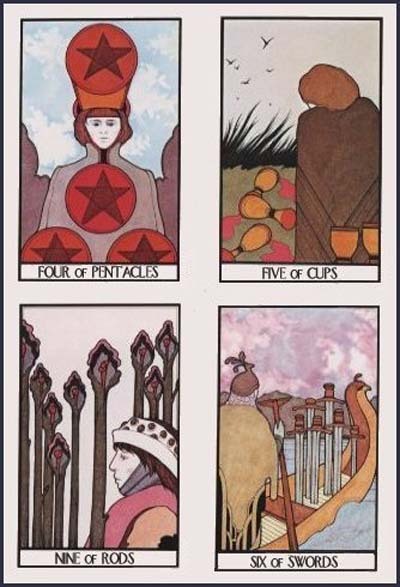 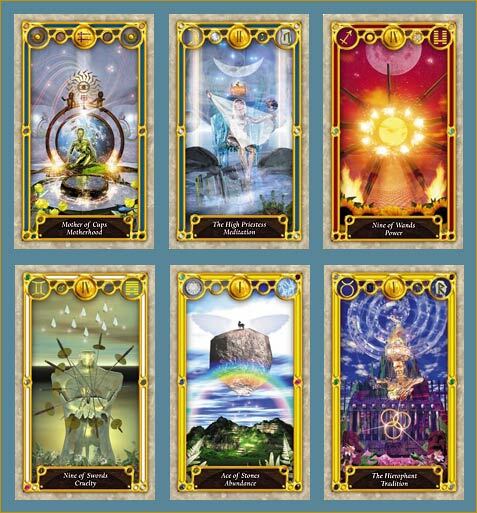 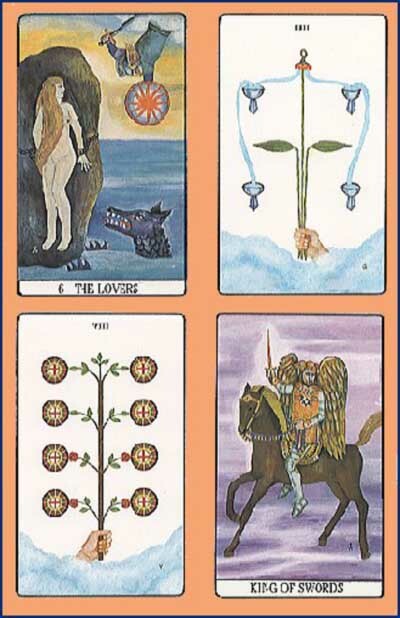 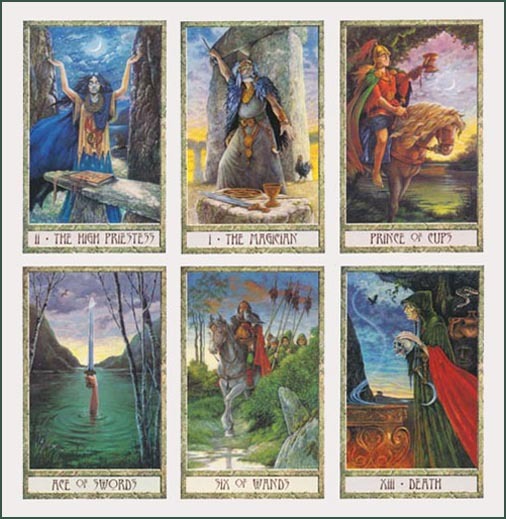 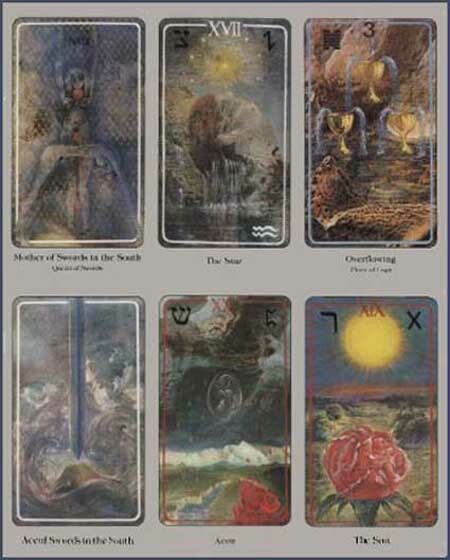 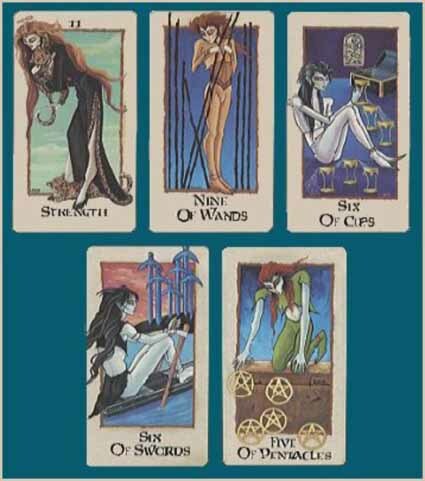 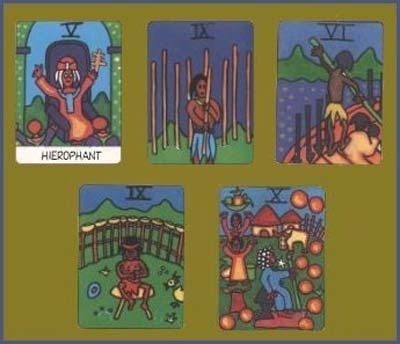 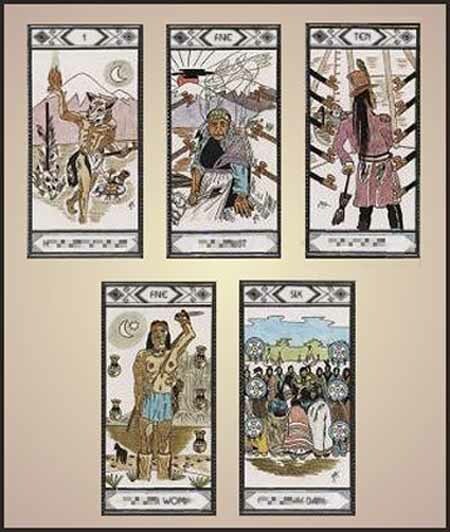 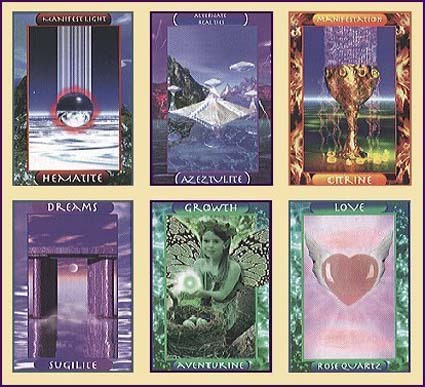 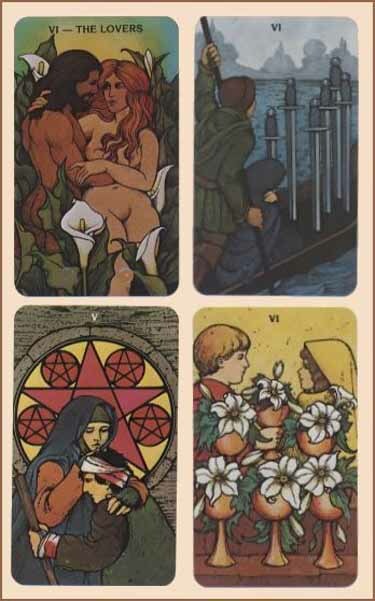 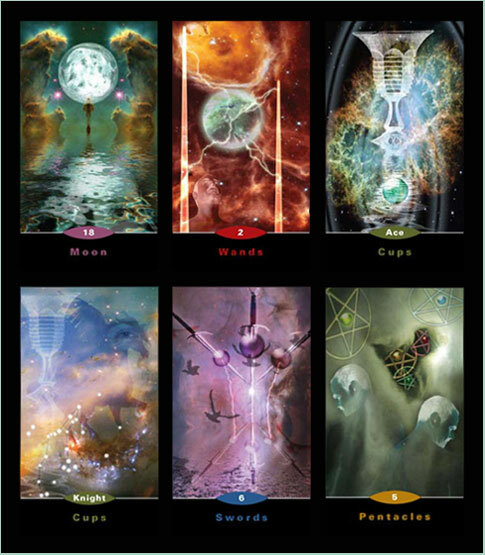 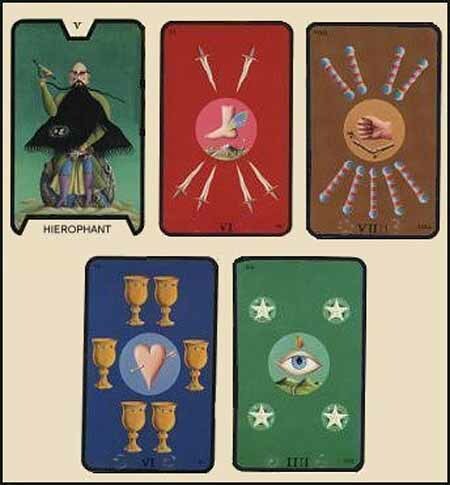 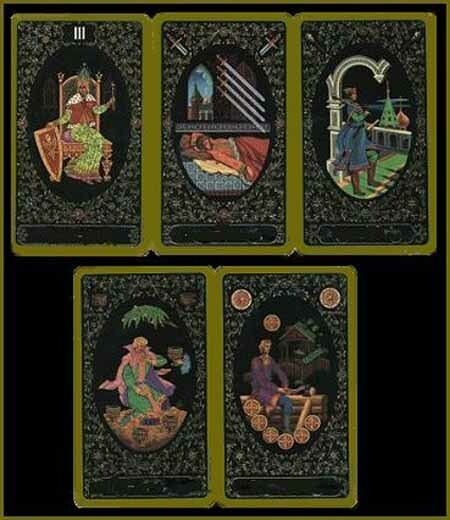 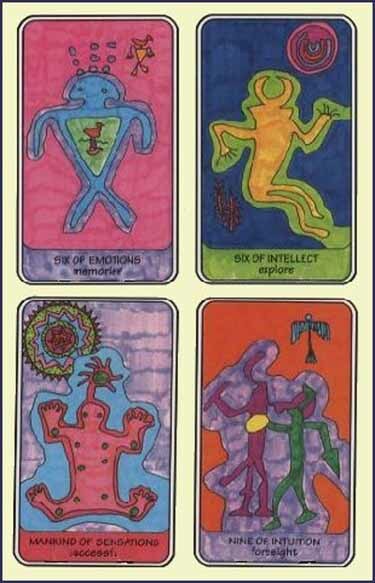 Tarot is one of the more complex divination tools. 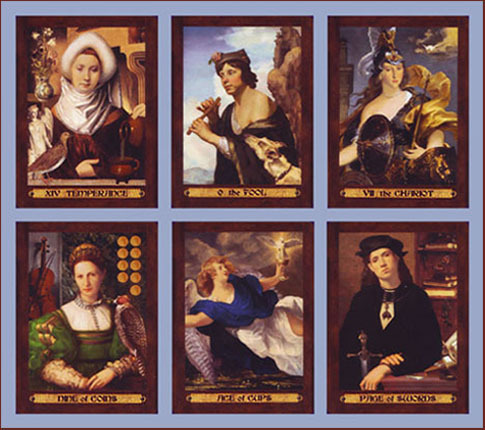 There is some dispute as to its historical origins. 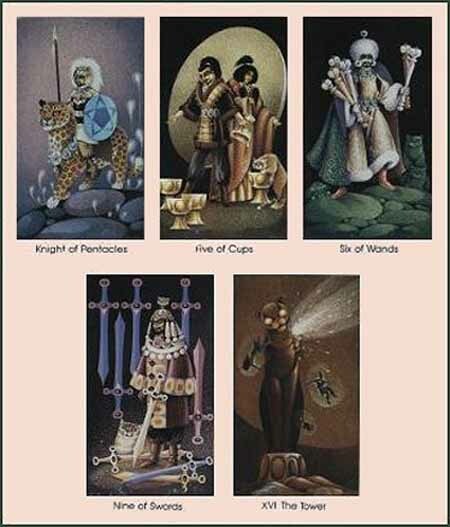 Since antiquity, countless artists have interpreted the 78 archetypal images, incorporating different mythological and belief systems. 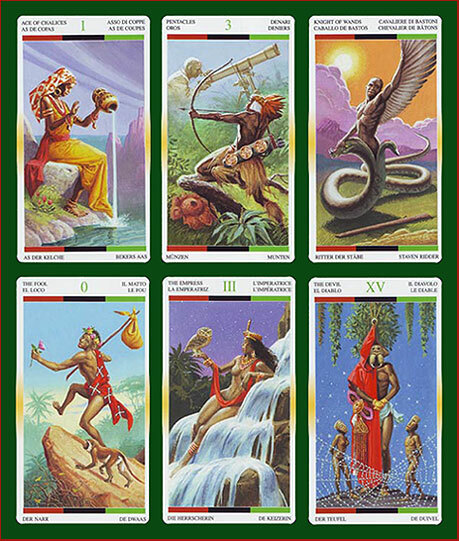 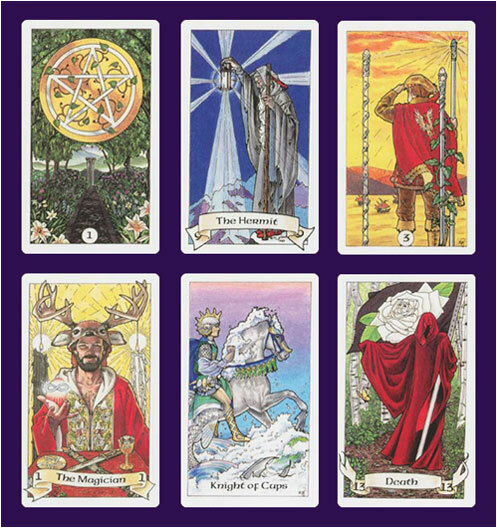 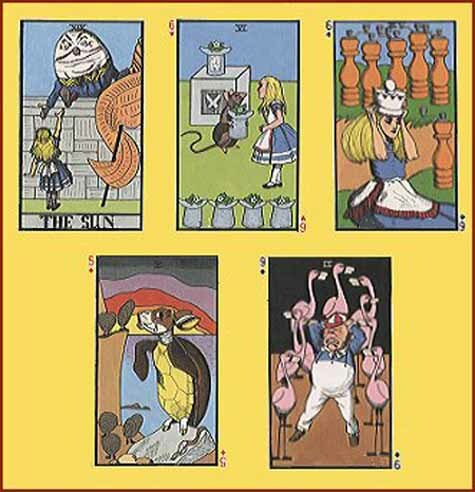 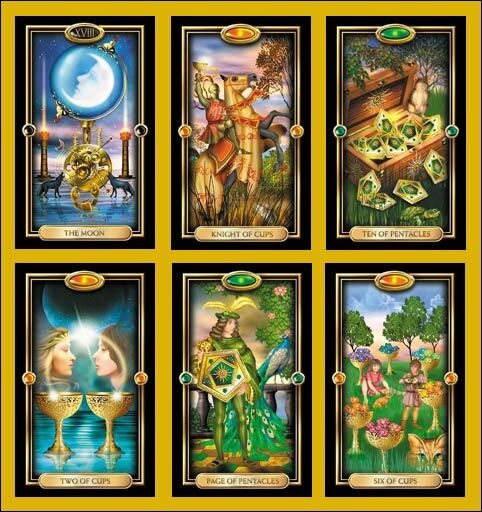 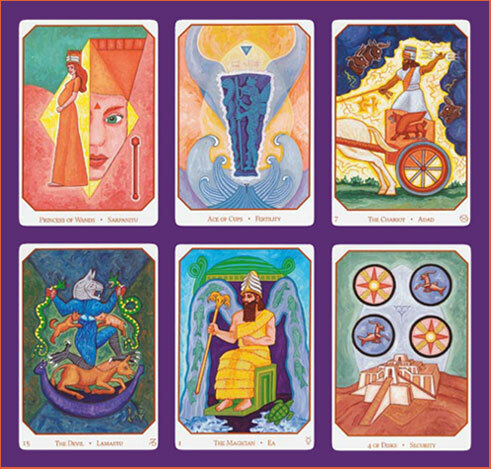 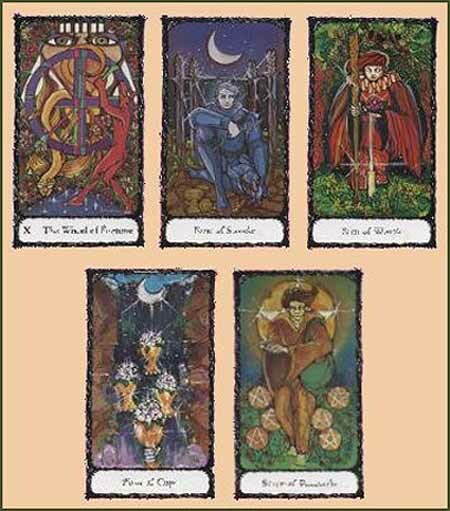 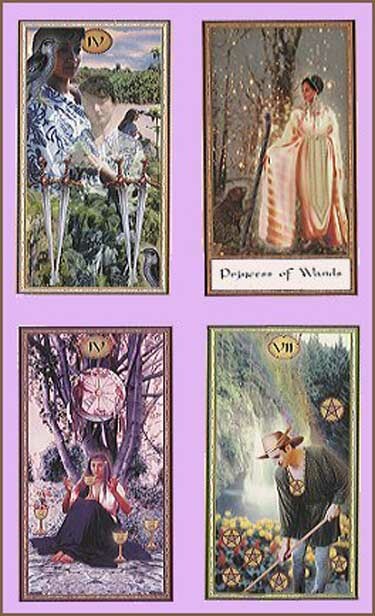 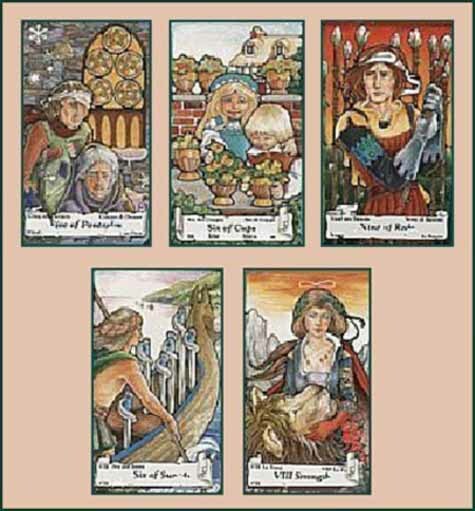 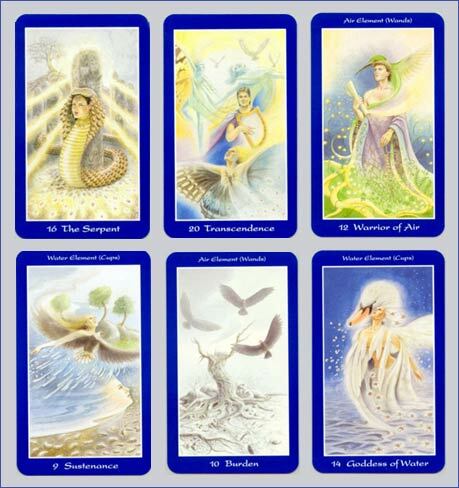 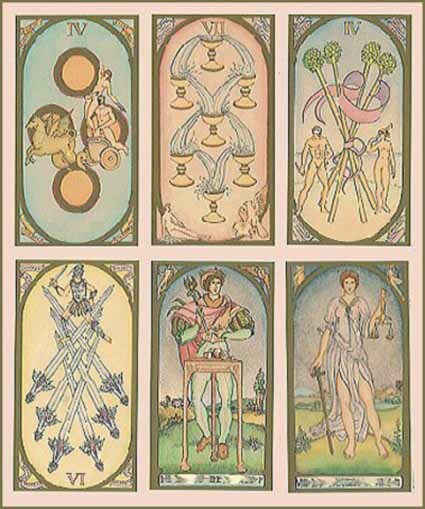 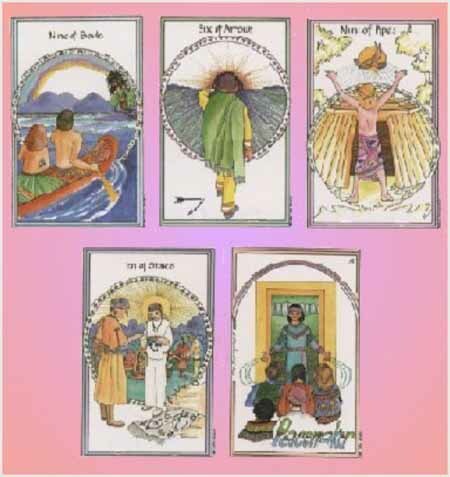 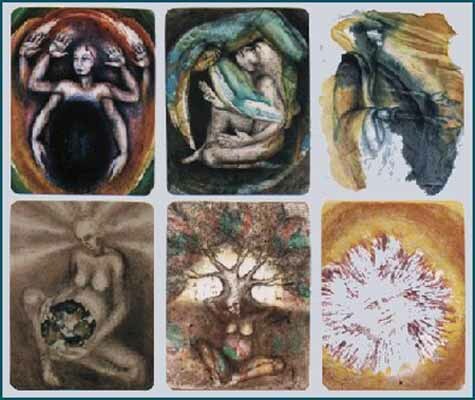 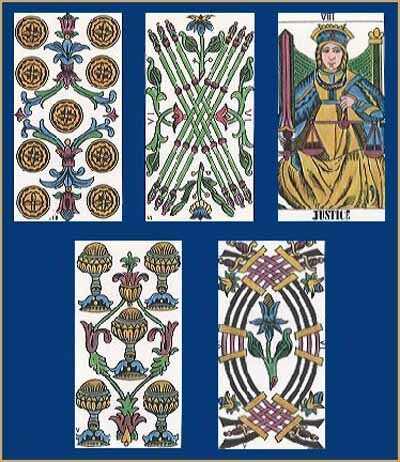 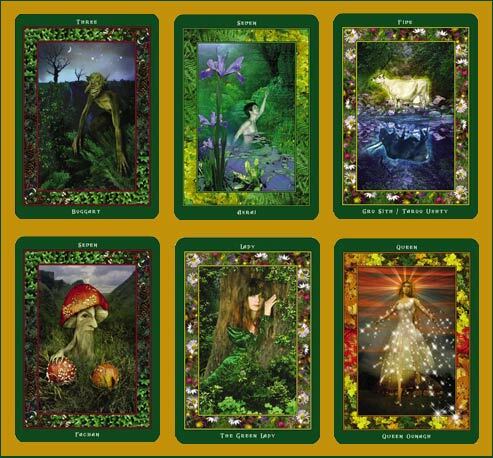 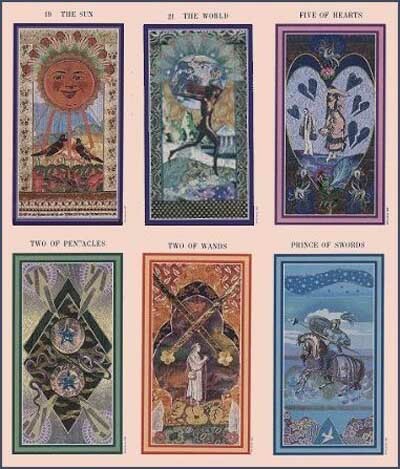 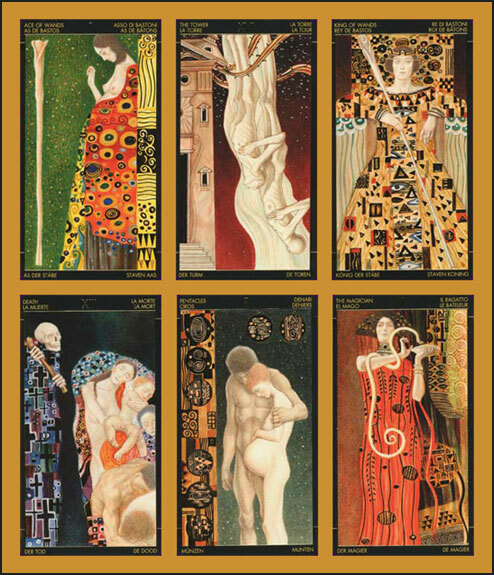 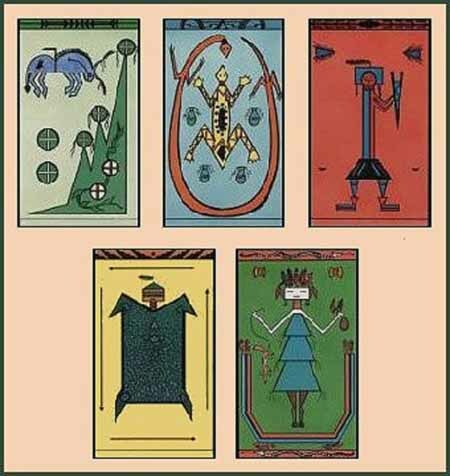 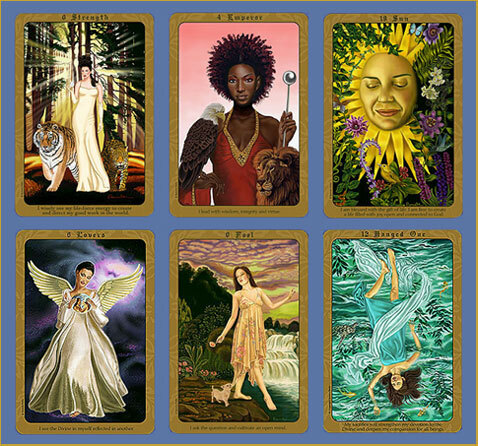 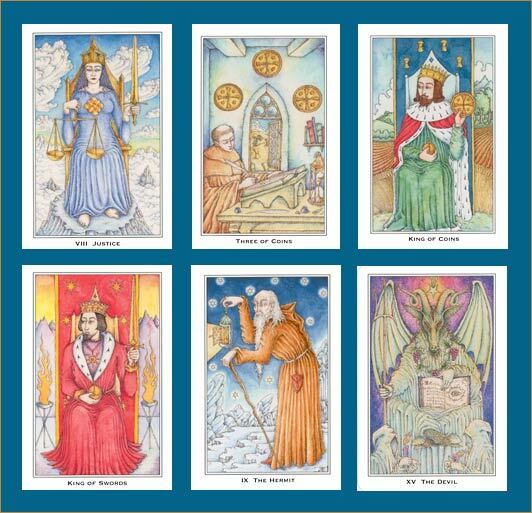 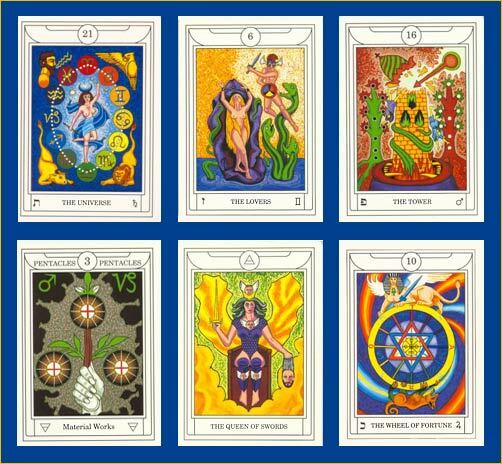 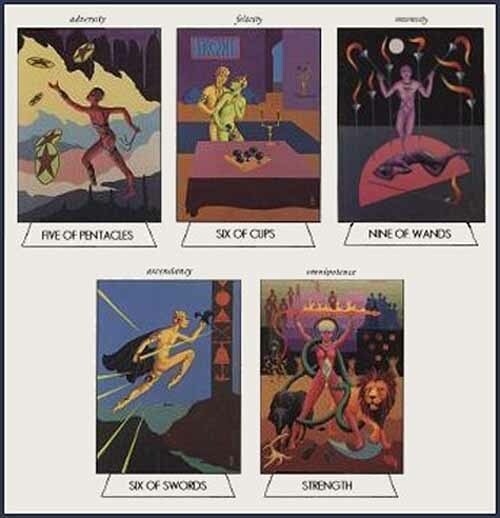 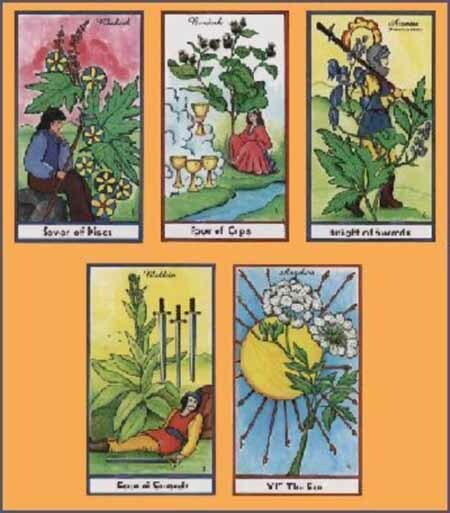 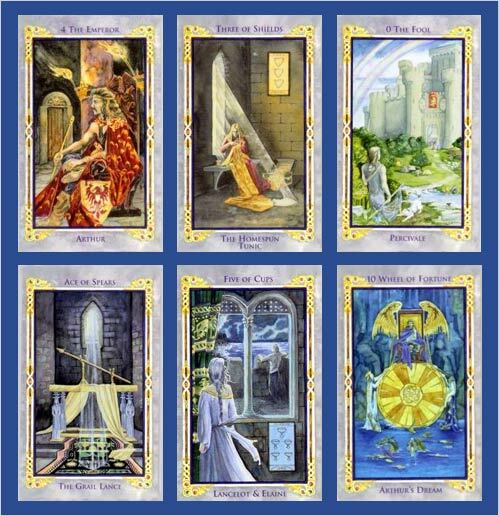 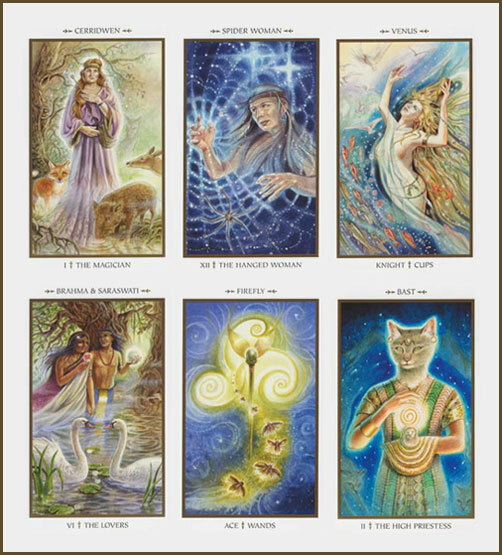 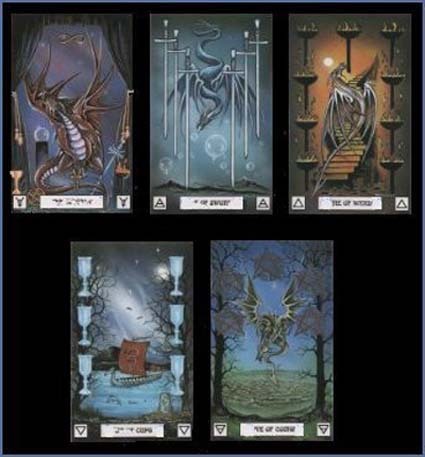 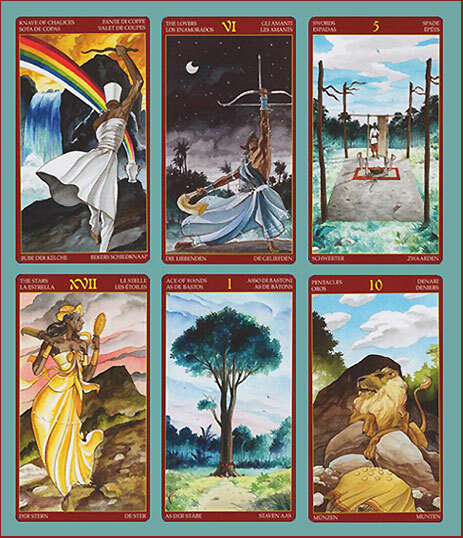 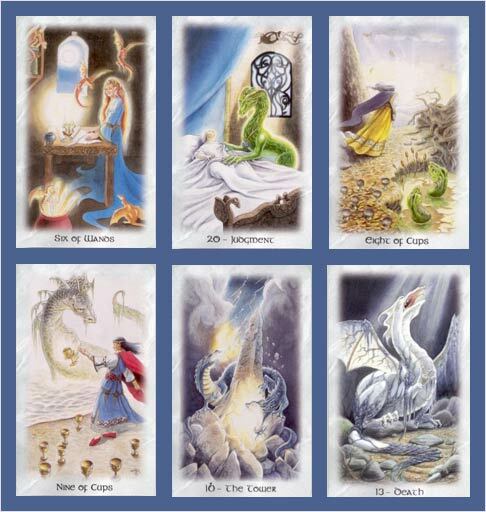 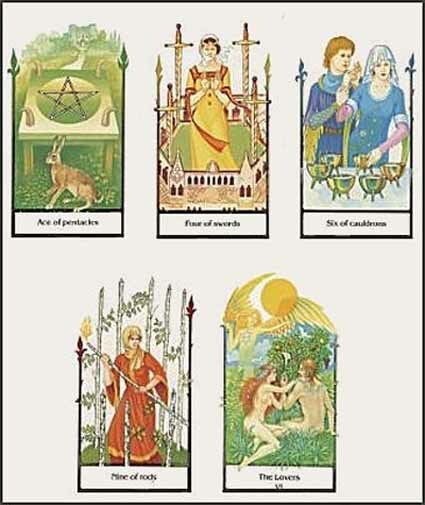 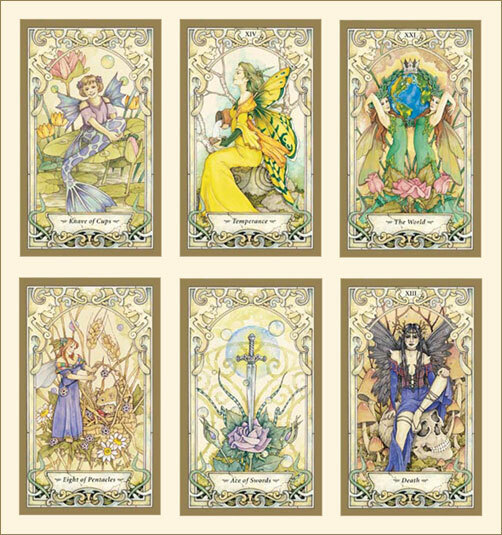 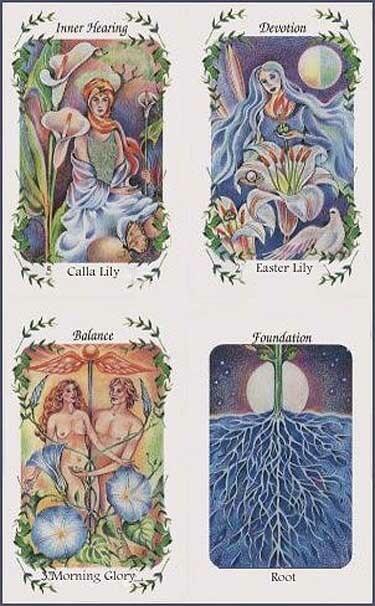 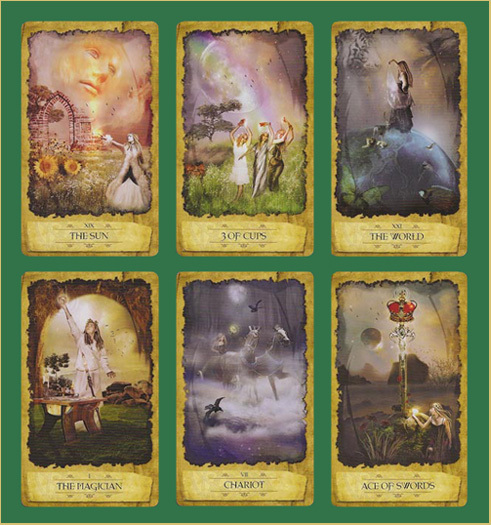 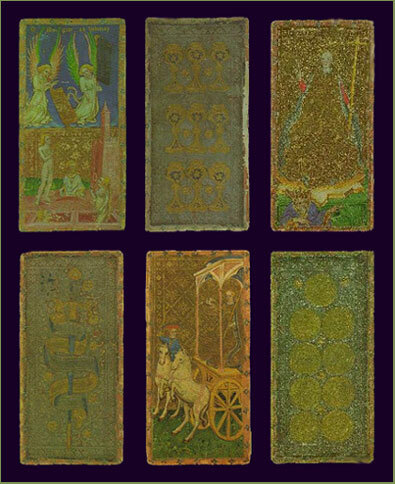 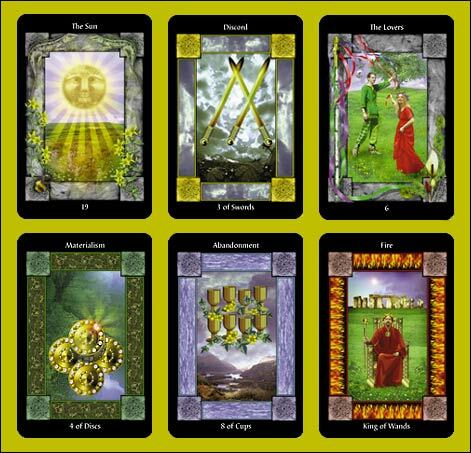 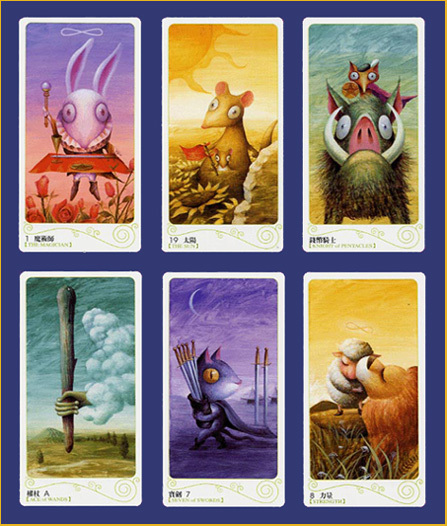 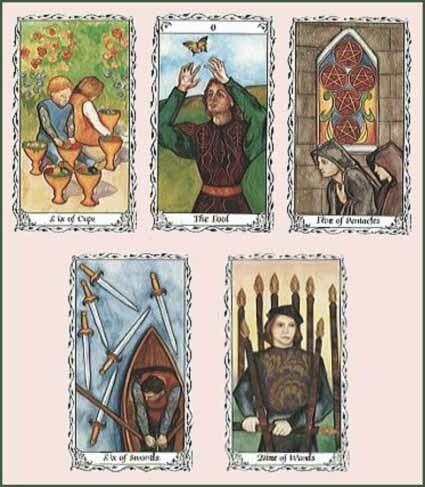 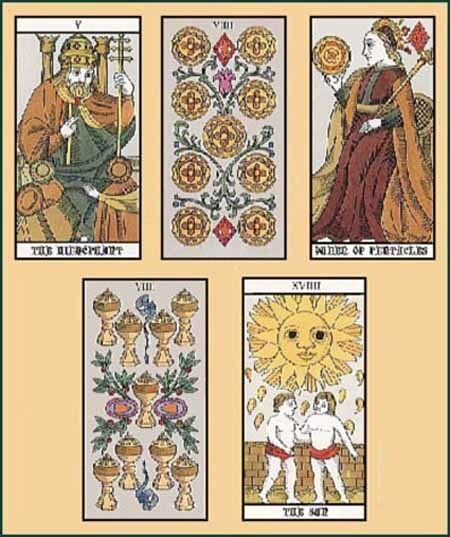 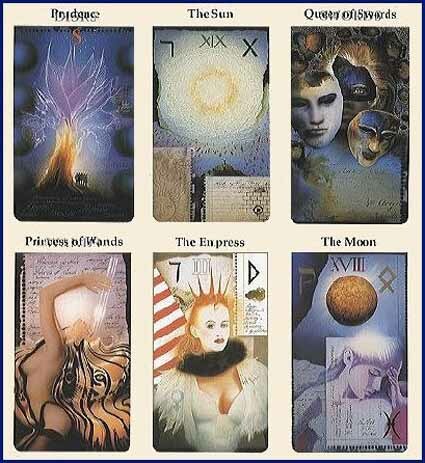 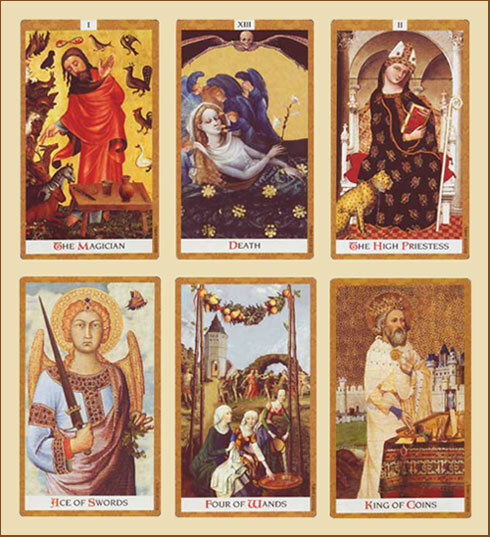 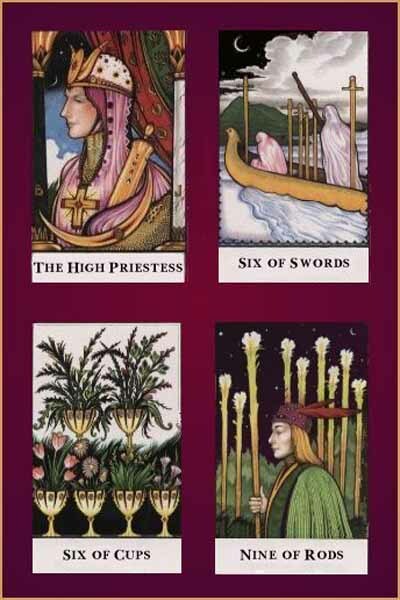 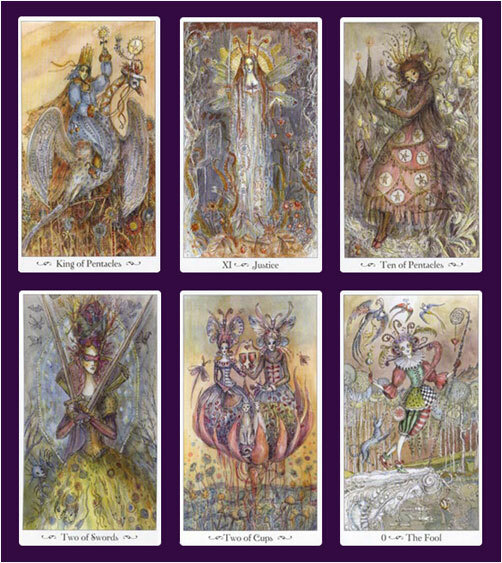 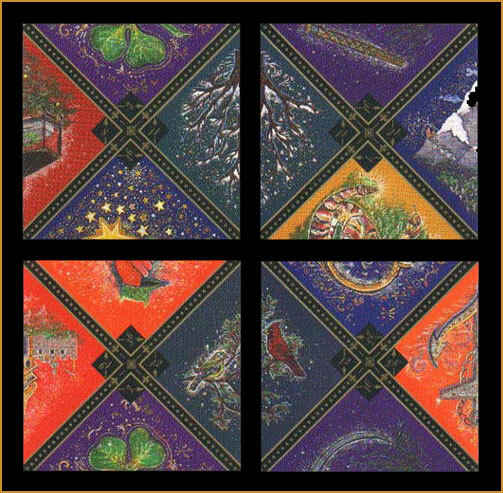 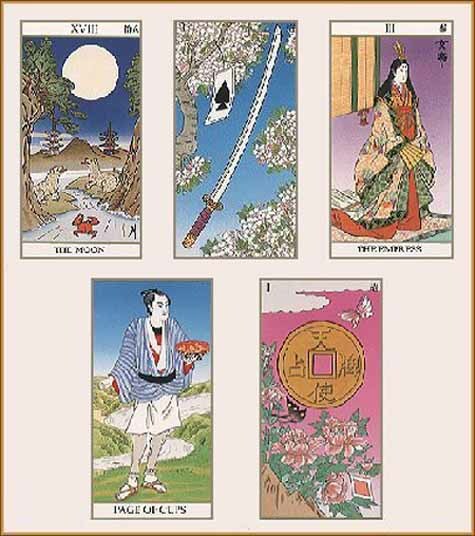 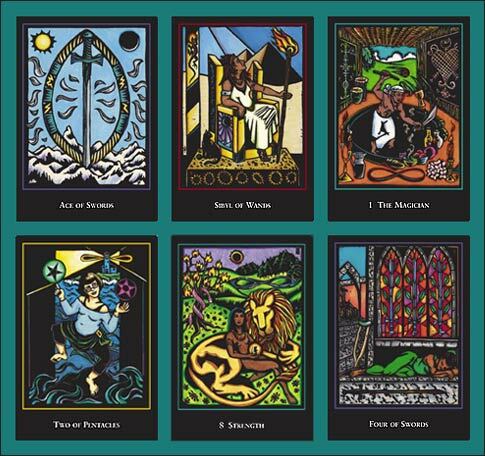 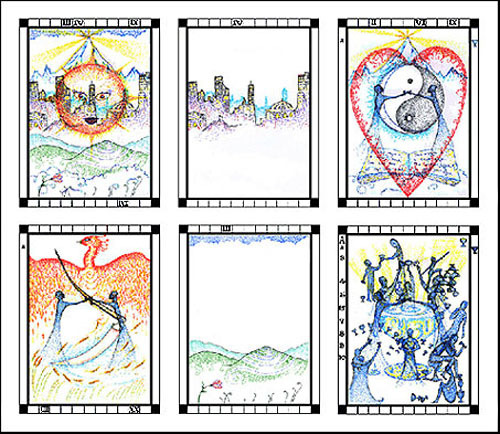 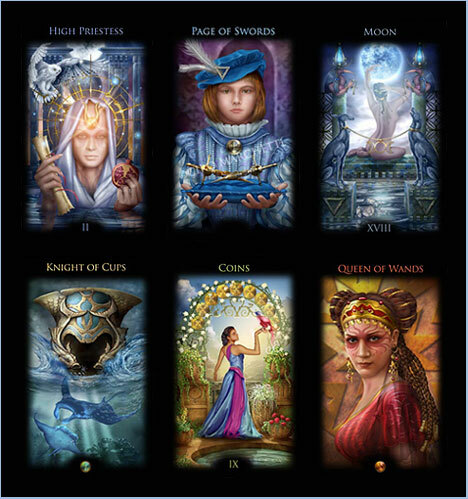 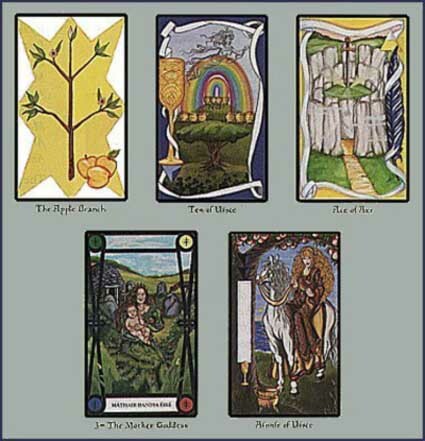 Tarot artistry covers a broad spectrum of approaches and styles. 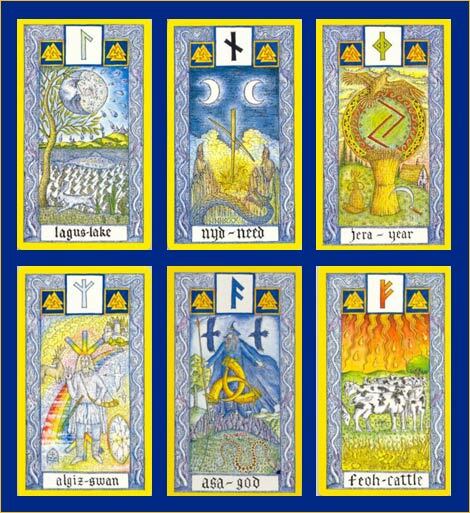 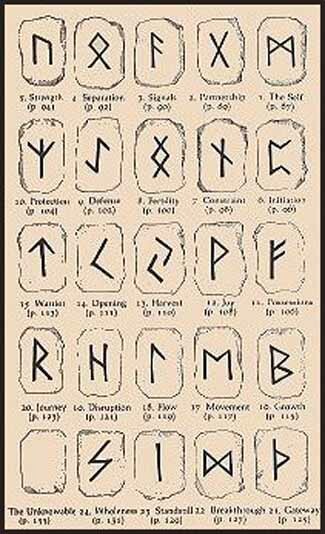 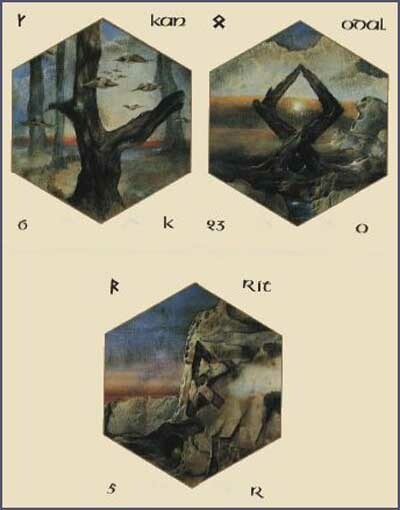 Also included in the gallery are other oracles such as Runes and other artistically rendered divination systems. 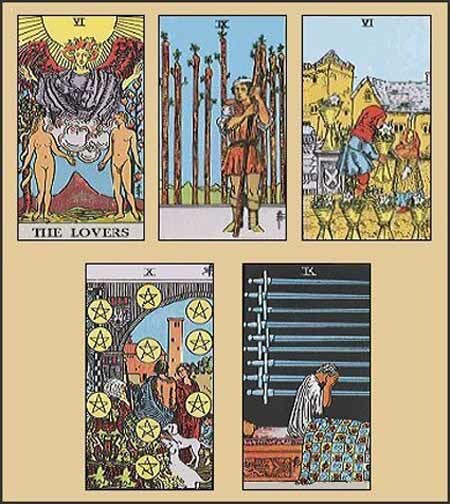 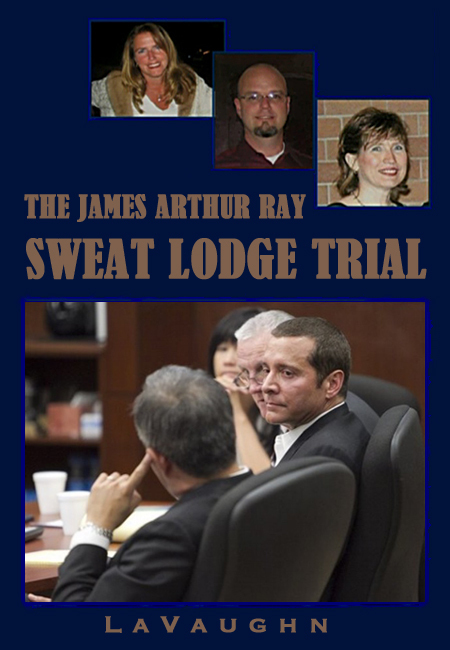 TO USE THE GALLERY: Click on the thumbnails to view images from each deck. 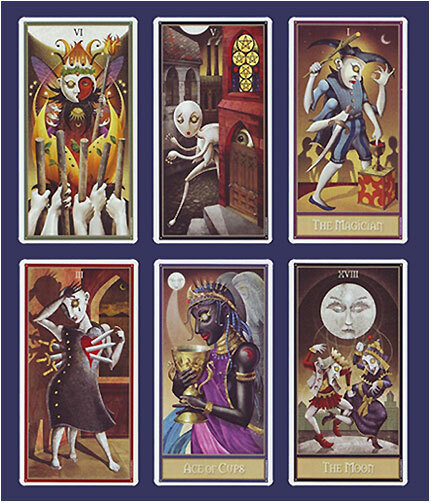 This is a gallery. 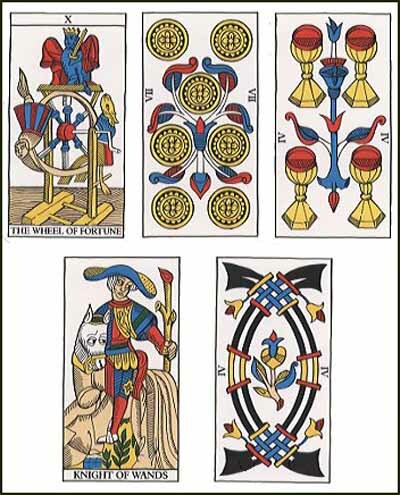 Not all the decks are currently in print. 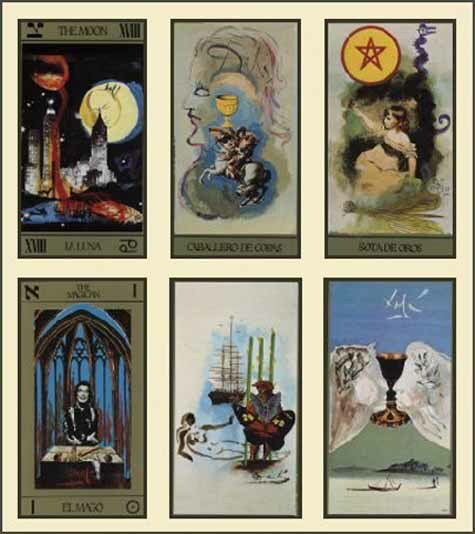 Cards and instruction books for many decks and divination tools can be purchased in the Rituals Bookstore.